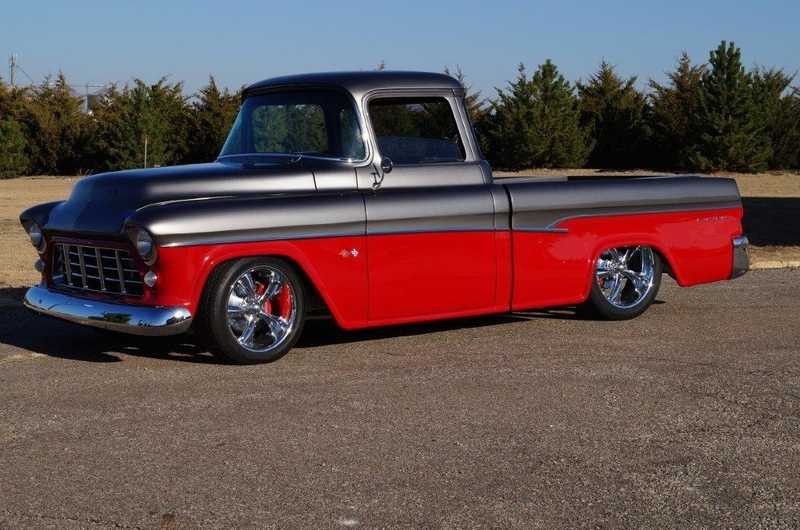 This professionally built 1955 Chevrolet Cameo Custom Pickup features several eye-catching outer modifications including a tailgate inspired by the 1955 Nomad, reformed cab corners to flow with the 1957 Bel Air side trim and an engine bay smoothed over with covers. The Titanium Grey and Lipstick Red exterior is complemented by a red leather interior, complete with Dakota Digital VHX gauges, a graphite-wrapped Billet Specialties wheel and a Kenwood stereo system. The vehicle is such a hot collector’s item that it made our list twice! After selling for $143,000 in the 2013 Scottsdale auction, the Cameo Custom hit the auction block again a year later in Las Vegas and sold for $132,000.